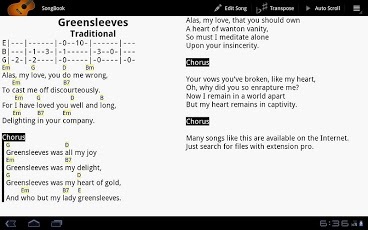 SongBook manages your song collections complete with lyrics and chords. Tap on a chord to see its definitions. Comes with comprehensive, extensible chord libraries for guitar, ukulele, banjo, piano, and more. Transpose on the fly, auto-scroll, pinch-to-zoom.